You'll Always be my Hero. ....even though you've হারিয়ে গেছে your mind... 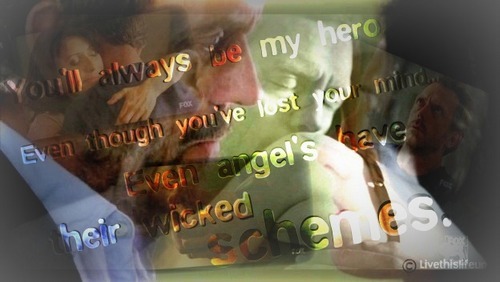 Even angel's have their wicked schemes.. Wallpaper and background images in the Huddy club tagged: huddy house md cuddy house season 7 fan art. This Huddy fan art might contain সাইন, পোস্টার, টেক্সট, and চকবোর্ড.